Tom Knapp designed the SEARAILS working Steam Valve Gear. Aided by Paul Ingram they developed a mechanism that attaches by a pin directly to quartered receivers in the v.3 PowerMAX! front driving wheels. Constantly improving the design over an 18 month development cycle, Tom and Paul invented, designed, and developed a driving rod Crosshead that is non-conductive, abrasion resistant, and uses an extremely strong 3D printed material. Tom, continued to improve the design and created a working fixture that provided Paul the correct angles and bends to prepare the main driver's etched stainless steel construction. Tom and Paul finalized a system using stamped brass connection pins, etched stainless drivers, and a 3D printed acrylic Crosshead. This system serves the SEARAILS fleet of multiple-scale steam locomotives including the N scale Narrow Gauge Porter 0-4-0 Saddle Tanker, and the Baldwin Z scale Standard Guage 0-4-0. 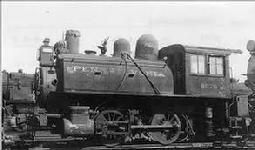 Additional SEARAILS steam engines are planned including the NP Minnetonka, a Porter Side Tanker, and different confirgurations of 0-4-0's (0-4-2, 2-4-0, 4-4-0, etc) and different scales. Searails now produces models in three scales and two gauges: Z, N, Nn3, HOn2, and HOn30, including unique industrial locomotives in all these scale/gauge permutations. Presently, only the Porter and the Baldwin are available SEARAILS steam locomotive models.